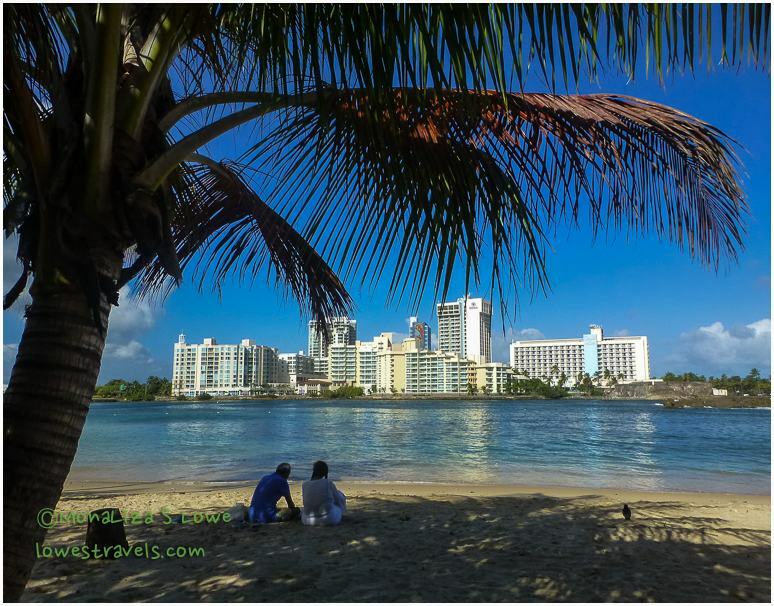 When Steve booked our southern caribbean cruise, he was happy to find one that began and ended in San Juan, Puerto Rico. It’s a place he had heard good things about for many years, and the cruise gave us an excuse to take the short flight there while in Florida. 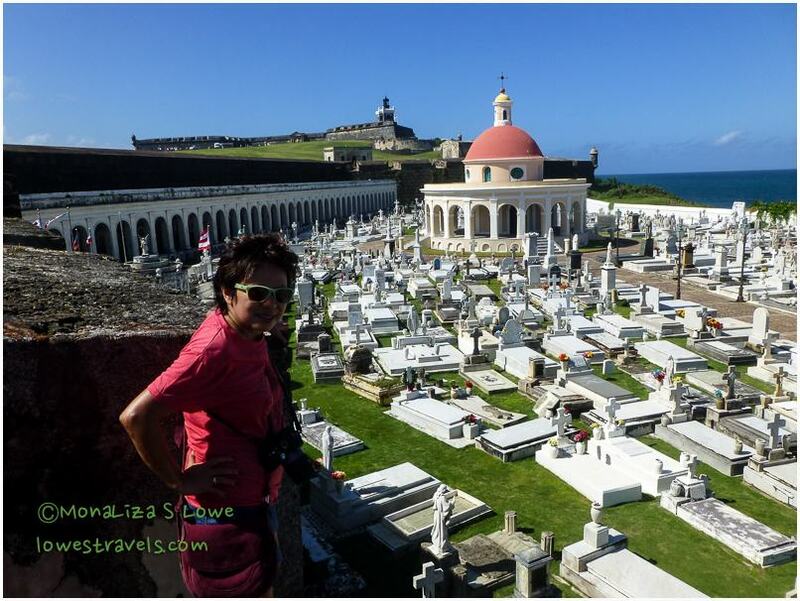 We spent three days exploring Old San Juan before hopping on the cruise ship — yes, a quick visit — but we managed to take in many of the sights and sounds of El Viejo San Juan! 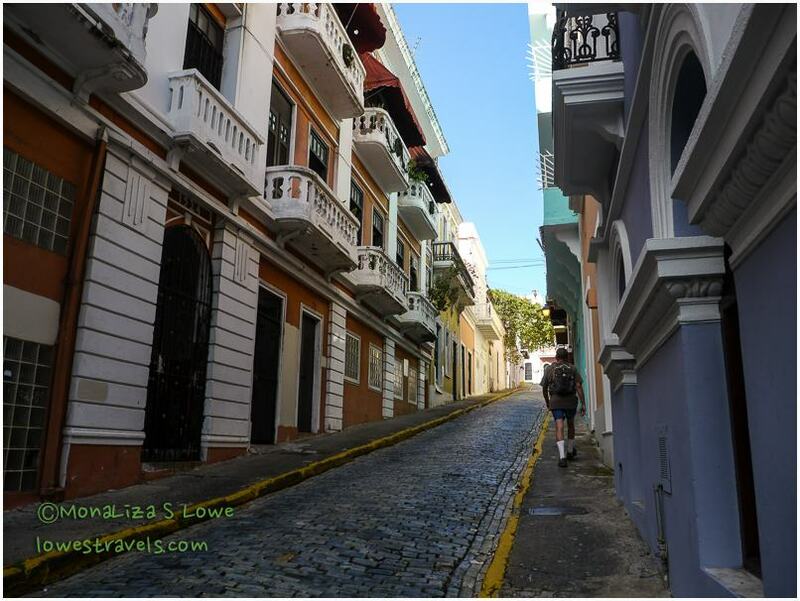 Old San Juan is within the historic colonial section, and it’s the oldest settlement within Puerto Rico. 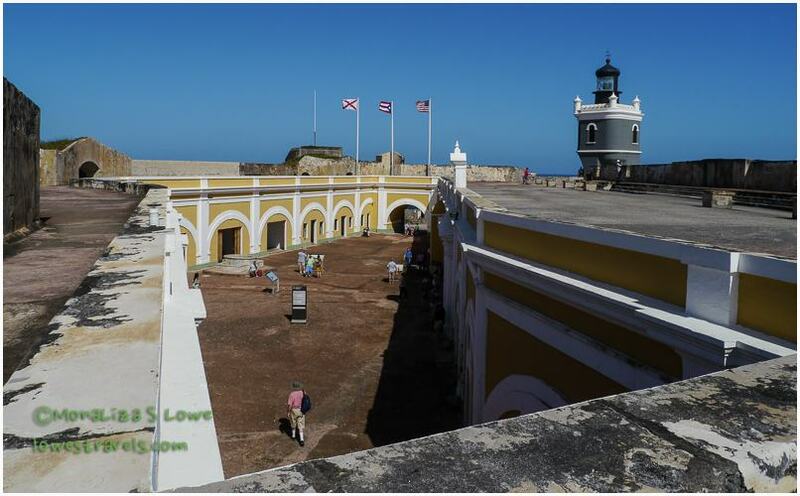 We stopped at many of the city’s historic landmarks, including the two forts — El Morro and Fort San Cristobal — to marvel at their distinct character. We also walked the cobbled streets of the city, and on another day we took a tour of the tropical El Yunque Rainforest. First, a quick history of San Juan. 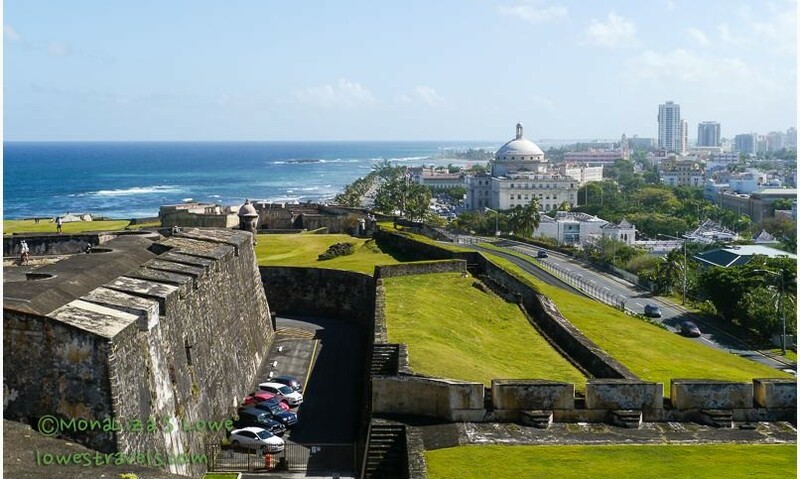 Before the United States took over in the late 19th century, San Juan was an important Spanish gateway to the caribbean islands. 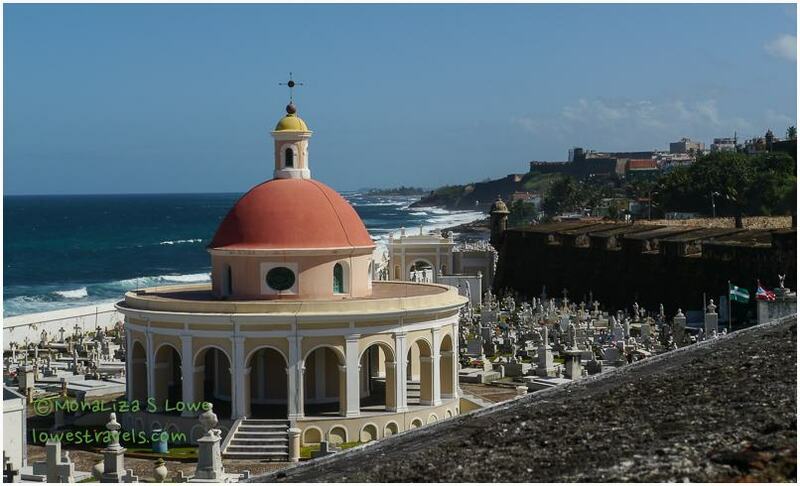 Puerto Rico – meaning “Rich Port” – was fortified by Spain because it was the first major island with fresh water, shelter and supplies that could be used by sailing ships on their way to the Americas. 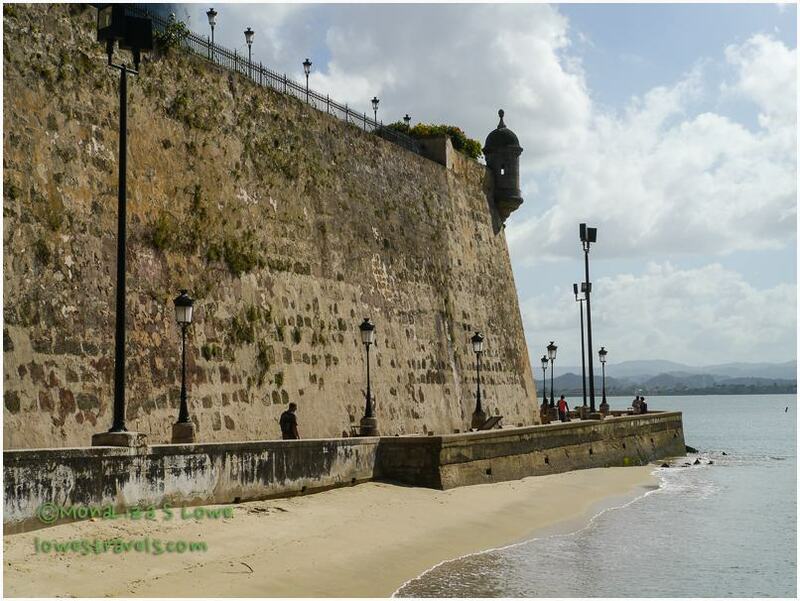 Behind the mighty stone wall, the old city of San Juan grew and developed. The city wall is marked by the dark line in the image below, and it took us the better part of a day to follow and explore it along with the two forts. 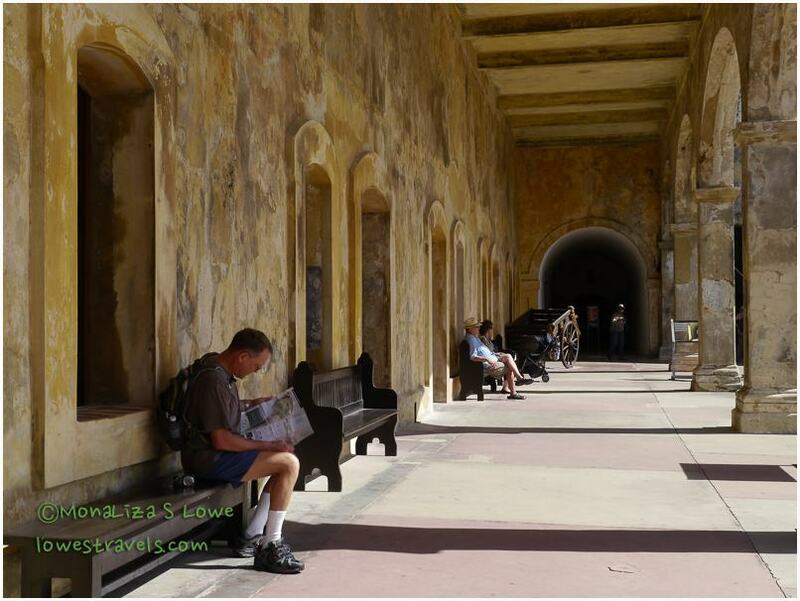 The forts are designated as San Juan National Historic Sites and administered by the U.S. National Park Service. To begin our walk, we had a taxi drop us at the southern end of Old Town where we first explored Castillo de San Cristobal with its sprawling outer defenses. 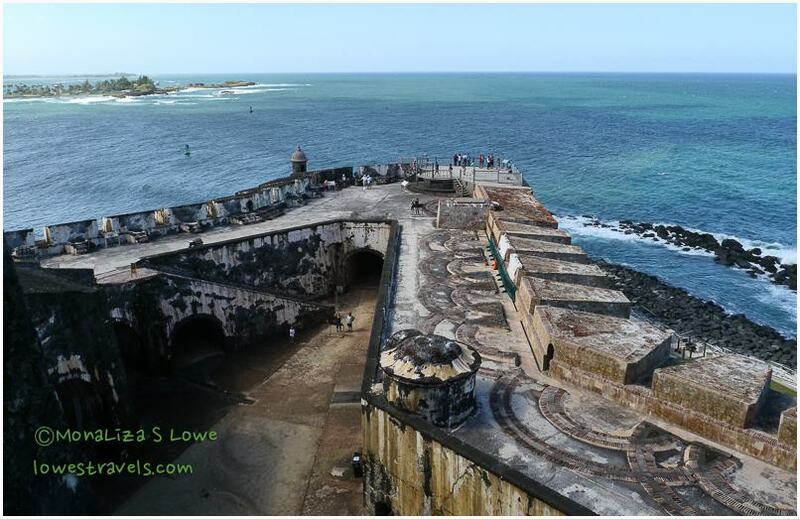 The largest fort built in the caribbean by the Spaniards, it protected El Morro and the city from land attack and took 150 years to complete. There are many other details, but I’ll just say it is architecturally beautiful and the coastal view from it is fantastic. 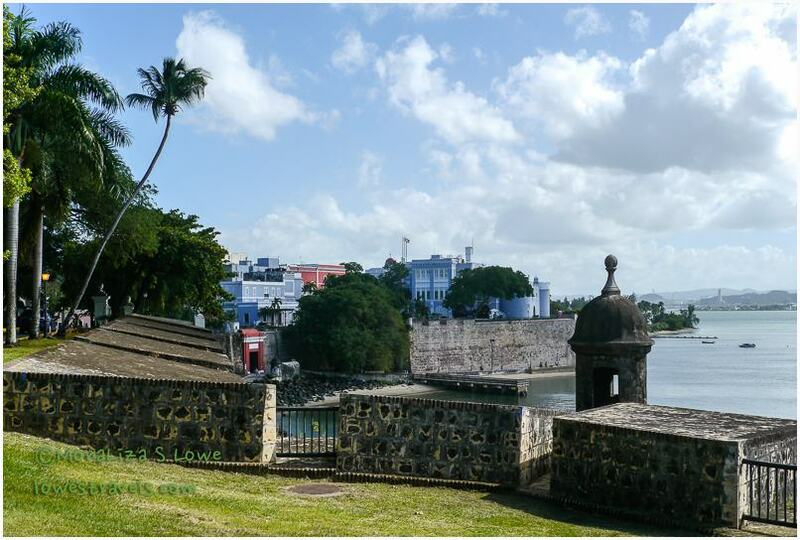 Sentry boxes (or garitas), a cultural symbol of Puerto Rico, are located all around the outer walls of the fort. This fort is 150 feet tall, and a great example of the strategic skills used to create land and sea defenses. It is actually many different units connected by tunnels, each unit being self-sufficient in case others are invaded. It was a half hour walk to the next fortification, Castillo San Felipe del Morro, and we were wilting under the blazing sun — whew, it was hot and humid that day! We passed by the picturesque Cementario Santa Maria Magdalena de Pazzis (established in 1863), which sits just outside the fort walls. This white cemetery was gorgeous, surrounded by the city wall on one side and the blue Atlantic ocean on the other. The only problem is you have to die to get a view like this! Looking at the cemetery from one of the 6 ft. embrasures in the wall. Castillo San Felipe del Morro can be seen at top of the hill. 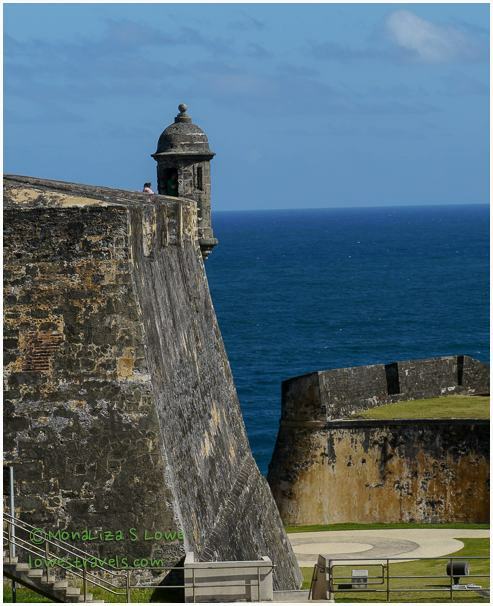 Located at the end of the island to protect San Juan Bay’s deep harbor from sea attack, Castillo San Felipe del Morro (El Morro) consists of six massive staggered levels rising 145 feet above sea level. We wandered around dungeons, barracks, passageways, and storerooms to learn about this amazing fort that took Spain over 200 years to build. It is now Puerto Rico’s most picturesque military structure and was designated a World Heritage Site by UNESCO in 1983. Leaving Castillo San Felipe del Morro, we walked the Paseo del Morro trail which follows a three mile long wall protecting the western side of the city. The wall stands 40 ft. tall with 20 ft. thick masonry, and was completed in 1782. It includes gun ports from which to fire cannon and sentry boxes perched at strategic viewing locations. Note how thick the walls are. 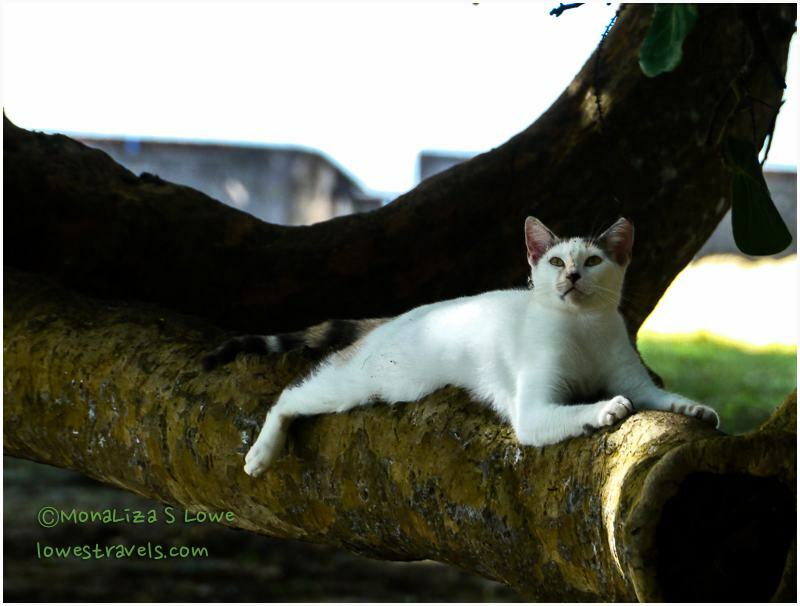 We encountered a lot of cats along this stretch, and I saw this one resting on a tree. I couldn’t resist snapping a shot. After hours of exploring the two forts and strolling along the high walls, we walked through the streets of the old city looking for some good Puerto Rican food. Strolling along narrow blue cobblestone streets, we observed boldly colored houses and shops watched over by grill-work balconies. The city is characterized by flat-roofed brick and stone buildings dating back to the 16th and 17th century and reflecting Spanish architecture. This city is on a hill, so we walked uphill and downhill throughout our trek. We really worked up a sweat in the heat and humidity! 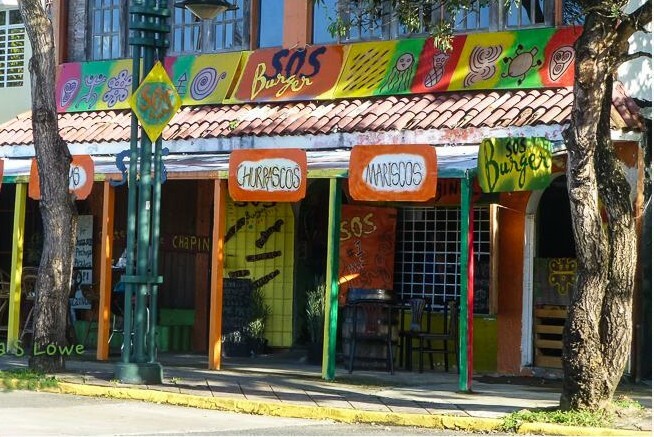 Mofongo is a staple dish of Puerto Rico. Our friend Brenda of Island Girl, a Puerto Rican lady herself, advised this was the local dish we should sample. It is essentially a mashed mound of plantains into which a combination of seafood, meat, or vegetables is added. I liked it so much that I had it in twice during our stay! We continued exploring after that delicious meal, moving toward the waterfront of San Juan Bay. Called Bahia Urbana, this is a new area of walkways and parks along the south side of Old San Juan. We were refreshed by the cool breeze coming off the the bay, as we walked and then sat down to enjoy the harbor view. On another day, we took a taxi, then a ferry ride, then another taxi to visit the largest premium rum distillery in the world – the BACARDÍ Rum Distillery. More than 85% of all BACARDÍ rum is distilled in this facility. After our free tour and a glitzy, informative, entertaining commercial for Bacardi, we enjoyed our 2 free drinks (Cuba Libre and Mojito). We were a bit disappointed in the tour, since it resembled a Disney-like attraction in a separate area and did not include the working part of the distillery. And even though the tour was free, the trip there and back to our hotel was far from it. At least we were able to enjoy the ferry ride across the bay on a very nice day. 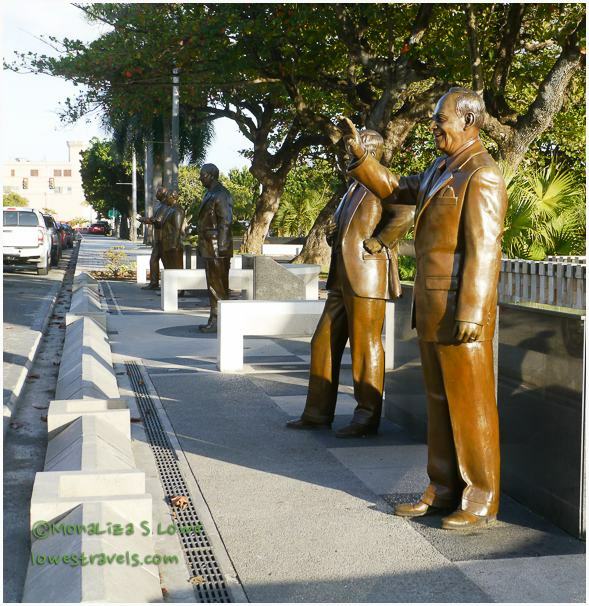 In addition to the Capitol building, there were a number of memorial plazas and sculptures in the Capital District of Old San Juan. We also viewed the Walkway of the Presidents, a Holocaust Memorial, a Fallen Soldier Memorial, a monument to police killed in the line of duty and quite a few others. We thought it was very well done. Finally, we took a trip to the rain forest, El Yunque Rain Forest that is. It’s the only tropical rain forest in the U.S. National Parks system. Ample rainfall (over 200 inches a year in some areas) creates a jungle-like setting – with lush foliage, waterfalls and a river. We didn’t take an umbrella and were surprised to get rained on while we were there – duh! While chilling out by the pool at the end of a long day, we heard what sounded like a singing bird but we couldn’t locate it. The sound was so close and loud that we started searching for it. Finally, a waiter informed us that it was actually a tiny frog native in Puerto Rico and called a Coqui. It is abundant here and has become the country’s symbol. Although the waiter said it is rare to see them, this guy surprised us by jumping right onto our table. How cool is that! 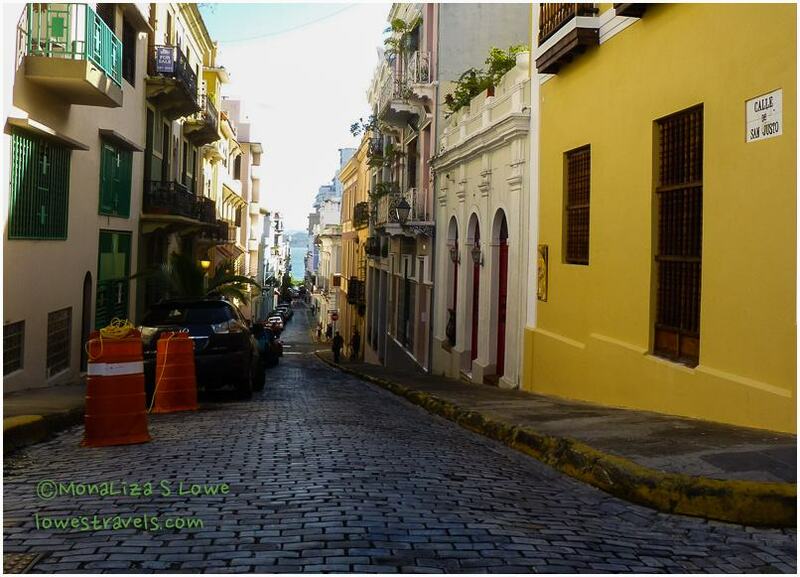 We thoroughly enjoyed our short visit to San Juan, and it’s a place we would definitely go again. The history, architecture, friendly people and the many photo opportunities make it an inviting destination. We obviously only scratched the surface, and there are many things left to see – a great reason to go back some day! I know that was a little too long, but I hope you enjoyed a taste of San Juan, Puerto Rico. Next up: Hopping on a really big boat! ← Has another year rolled by already? We enjoyed our quick visit there and it is a lovely city to visit. We were surprised that the USNPS managed those Castillos for we forgot PR is a US territory. Glad you liked it, LuAnn. How cold did it get there in Blackwater SP? That was a wonderful tour. I always love your photographs. Your framing and perspective always makes them look great. Thanks ML and Honeybunch! One more thing on the cats…some of these area said to be descendants of the original cats that arrived on the Spanish ships. Really? glad that there is an organization taking care of those cats. I did wonder where they came from and why they were there in the first place. Mona Liza, what a wonderful description of Old San Juan, you covered a lot of ground in three days! Sorry about the Bacardi tour, that is a long way to travel, bummer. So glad you made it to El Yunque! And the coqui jumping on your table is very auspicious. Back story on the cats, this is a colony of cats, most of which are feral, there are a few colonies in Old San Juan. There is an all volunteer organization called Save a Gato there that provides, food, water and care for sick cats. They also are helping to control the population by TNR – trap (humanely), neuter and release – they vaccinate for rabies, deworm and anything else needed when they trap them. They also put up kittens for adoption, since they’re not able to neuter all of the cats. 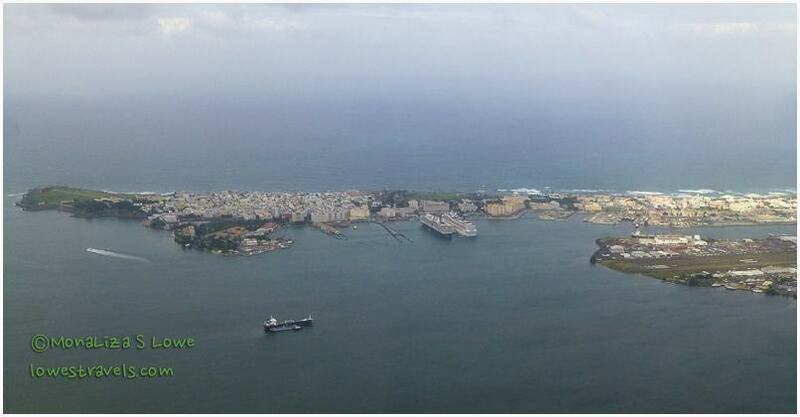 Anyway, beautiful photos of Puerto Rico, I am proud! Say hi to honey bunch. Oh Im so glad I got your thumbs up especially coming from you a Puerto Rican yourself. I take it as a good compliment. We enjoyed your city although there are still a lot we have not covered. We have friends that live in Rincon, Puerto Rico that we want to visit some time. My son Brian rented a car and drove around the island with his friend. They also took a boat to another island. Your pictures and story are fantastic. Keep enjoying your adventures! I think you should go and visit your friends. San Juan is a lovely place. That brought back memories. Our first ever Caribbean cruise was in 2002; it too was R/T out of San Juan. Great city, isn’t it. The walk from Raices along the outside of the city walls is one of my favorites. Coming from you Rod, its a great compliment. Thank you. Oh my…what a treat! 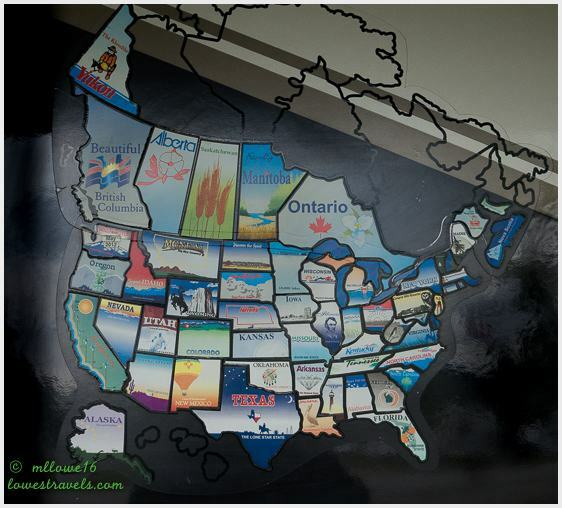 I thoroughly enjoyed your post…the information as well as your beautiful pictures! I can only enjoy places like San Juan through the eyes of others as we will probably never get the chance to visit there with our pups! 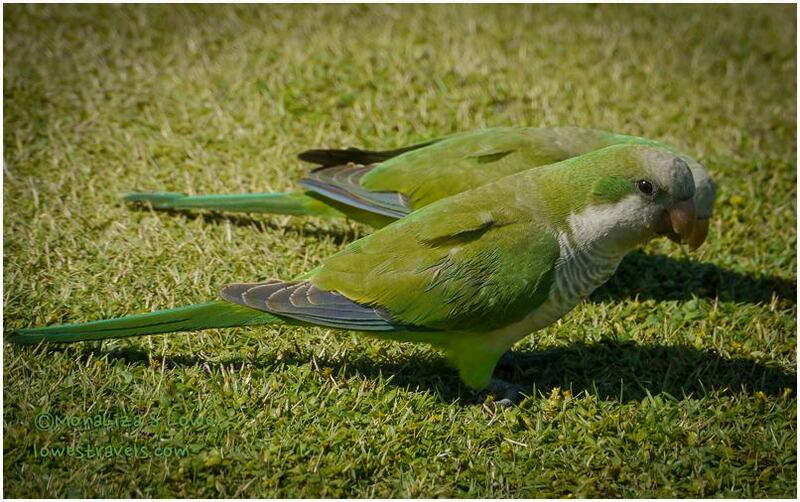 Love the green lizard against the blue sky….great picture! I certainly enjoy your bog and the effort put forth by you two to share your experiences with others. Thanks! 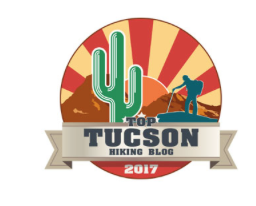 Thank you and we are glad you are enjoying our stories and pictures. Looks like you got a good workout touring that beautiful place! Looks like a place we would enjoy visiting. We did walk a lot in three days. San Juan is good destination for a quick visit. Lots to do. What a beautiful place! Looks like a calorie burner…. Yup, two days of walking did it but replaced with great food in a few minutes. Absolutely NOT too long! I was sorry to finish reading it. You’ve really piqued my interest in Puerto Rico, a place I’d not really even thought of. Thank you for the interesting commentary and great (as usual) pictures.